Are you looking for a cost effective solution for routing your cables in a neat and professional manner? 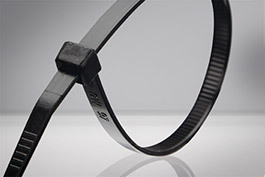 Then the cable ties made of high quality polyamide 6.6 from BIT are the right products for you. They ensure the necessary tensile strength and provide reliable fastening.